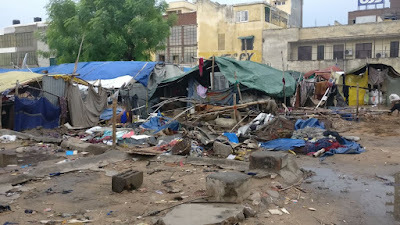 A Rajasthan People’s Union for Civil Liberties (PUCL) team, which has been surveying the implementation of the Deen Dayal Upadhyay patta vitaran yojana, for giving housing plots to the homeless, has found that the rains in Jaipur on July 21 would be remembered by very poor sections as the day when their homes were destroyed and the life completely disrupted. In most of the bastis they live, the shanties were uprooted by the rain and winds, the flooding of waters inundated their cooking stoves, and numerous health problems were caused by the mosquitoes brewing in still water. 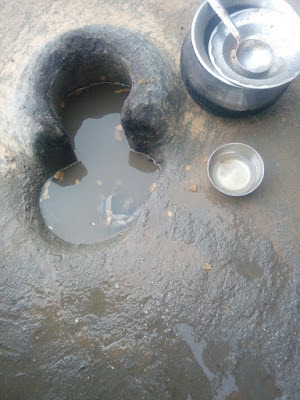 Their belongings perished in the rain, and it was clear that most of the people would be sleeping hungry as their chulhas would not be lit due to firewood becoming wet and the flooding. The affected bastis are – Bmbala Puliya, where Banjaras live; Vidhyadhar Nagar, where Bairwas and Malis live; Vt Road and Kaveri Path, where Harijans, Mirasis and Muslims, and Saperas live; Bais Goddam, when Kanjars live, and 200 Feet Bypass, where Banjaras and Bhands live. Some even lost the flour and other edible items to the flooding. 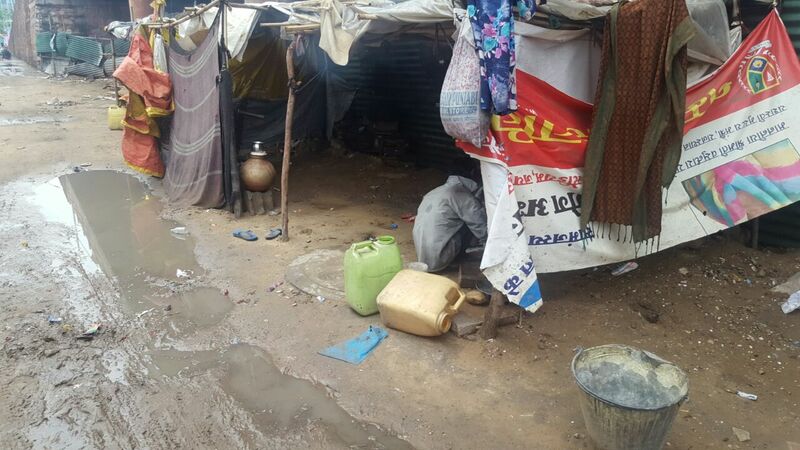 The old and the children, including 15-day-old infants, seemed very vulnerable and mothers not knowing how to protect the infants, when it became obvious that their tents would not be their protective cover for their night. The old were so miserable that in some of the bastis they were praying for their death. 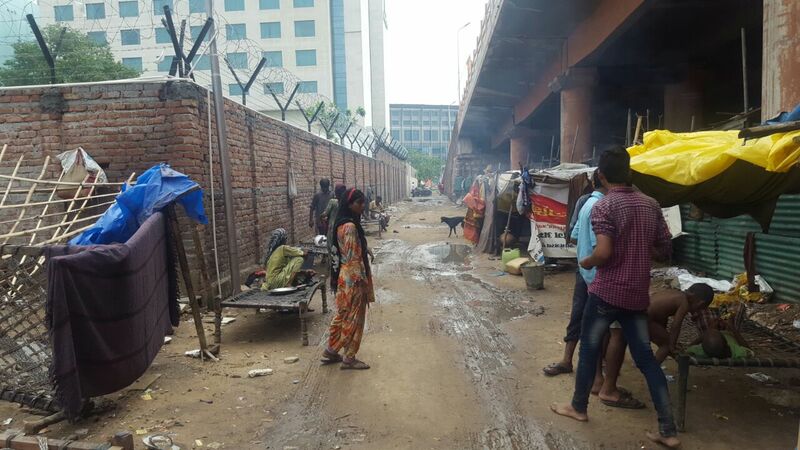 The worst was for the basti based under the Bais Goddam Flyover , behind Crystal mall. Not only did they have the problems posed due to rain, but also had the Jaipur Development Authority (JDA) to worry about constantly harassing and threatening to evict them. Consisting of approximately 20 families belonging to the Kanjar caste, including 30 women and 50 children, the main source of livelihood was boot polishing by men while the women had to resort to begging in order to put food on the table. The JDA, instead of making their already difficult lives easier, further added upon that hardship by regularly harassing them with their visits. All the visit by the JDA functionaries consists of destroying the shanties, taking away their possessions, snatching away the food and money. Especially horrifying is the story of Bhawandas, whose house was razed to the ground a few days ago, his clothes, utensils and the Rs 200 he had in his wallet was taken away. They have in the past even resorted to using bulldozers on the shanties without any regard to the fact of any person’s presence. However, the JDA functionaries have cruelly took advantage of the heavy downpour in the city to harass these people in this vulnerable condition threatening their eviction. The JDA even blocked off the part under the Bais Goddam flyover where the members of this basti sought shelter from the rain. Fed up by the actions of the JDA, some members of the basti even decided re-locate themselves across the road. Forced to spend the night under the open sky, children going to bed crying from hunger, the old waiting for the misery to end and the entire family cursing life, cursing fate, yet again, providing housing to the most vulnerable in the city the de-notified tribes needs has not been actualised yet. Ironically, the Government of Rajasthan carried out the Deen Dayal Upadhyay patta vitaran yojana campaign from April to June this year in order to give housing plots to the homeless. The campaign was carried out by the district collectorate in the rural areas and the municipalities and municipal corporations in the urban areas. Who actually got the house plots is a big question, one reason why the PUCL and the Centre of Equity Studies, which tried to assist the homeless in the campaign, decided to survey the squatters. These squatters are mostly of denotified tribes (DNTs) and very poor Dalits who for years have been living in the periphery of Jaipur. It was found that despite the Rajasthan High Court order that all DNTs should be given houses , to correct a historic wrong, there has hardly been any compliance in these bastis.